DJ Anthem AKA Daniel is the owner and founder of Wellington DJ hire and has been working as a professional DJ for over 14 years. He has DJ'ed at hundreds of different events over the years. From small private parties to large functions with over 500 people. 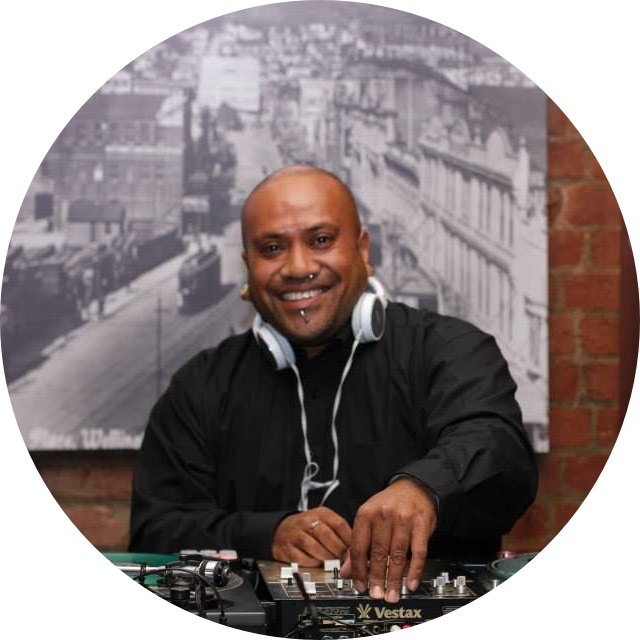 He is an experienced wedding DJ and has also been the resident DJ at some of Wellington's largest bars and clubs. He is passionate about many genres of music, technology, and high end sound equipment. His DJ style is looping hooks from popular party songs and seamlessly blending two tracks together creating unique blends that are in key. Cutting the beat and using effects to build up the track then dropping into a new song right on the chorus creating a great dance beat with everyone singing and dancing. DJ Cork C0llins AKA Paulo has been working as a DJ for over 15 years. He is an allrounder when it comes to music and has performed at lots of popular bars and clubs around Wellington. Our customers always give us great feedback about the functions that he performs at. He has been a finalist in the Wellington DMC competition and a finalist in the New Zealand DMC competition. He is a technically skilled DJ and is able to scratch and cut music using vinyl. In his own words his ultimate goal when DJ'ing is "to keep the party people happy". We are lucky to have such a great DJ on our team.